Surprise your family and friends with the gift of adventure in Atlantic City. 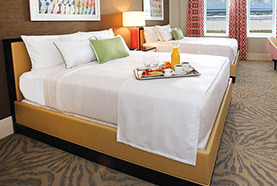 Gift Cards to Resorts Casino Hotel are perfect for just about anyone. 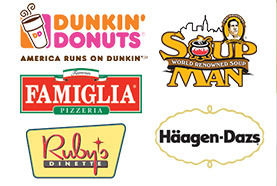 For overnight stays, dining, entertainment, nightlife, shopping and more, the fun is here! How many people do you know who could use some excitement, laughter, relaxation or fun? 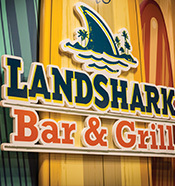 Have a brother who loves Margaritaville? Have a cousin who is crazy about Capriccio? Have a friend who enjoys fine wines? 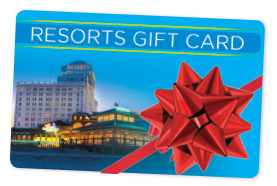 For the holidays, birthdays, anniversaries or “just because,” the Resorts Casino Gift Card is the best way to treat someone special to everything great about Atlantic City. 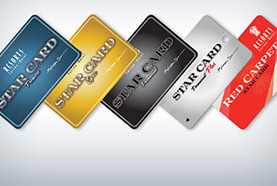 With our travel gift cards, it’s easy to share the gift of our fabulous hotel, entertainment and dining options. Whether it’s an overnight stay in an oceanfront room, a steak dinner at Gallagher’s, a must-see music concert or Resorts-style shopping spree, a hotel gift card from Resorts is a ticket to a great time, every time.